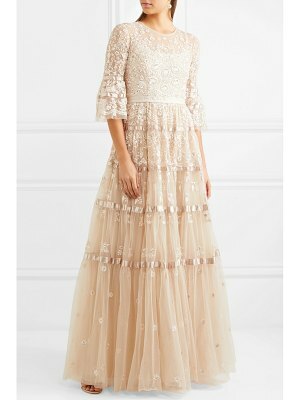 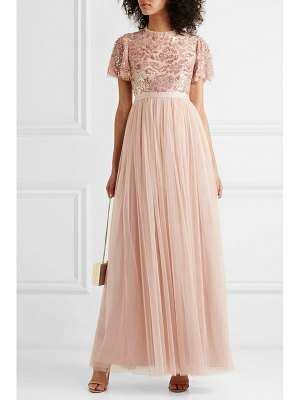 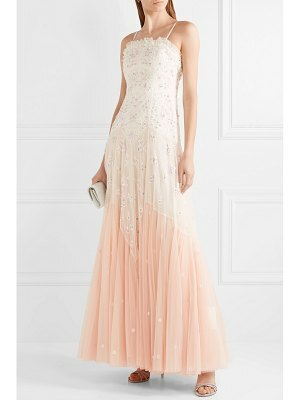 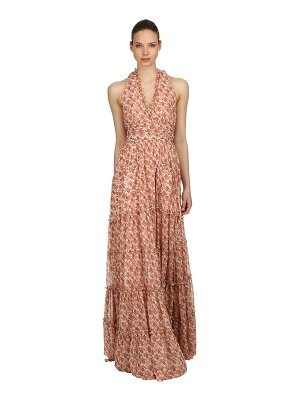 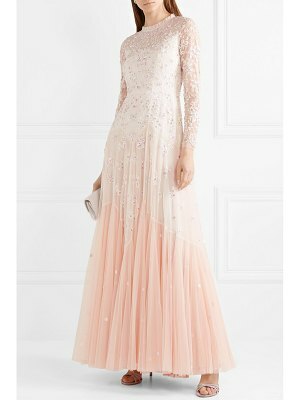 Ethereal and dreamy this stunning tulle maxi features a tiered design with a placed rose pattern in a subtle jacquard. 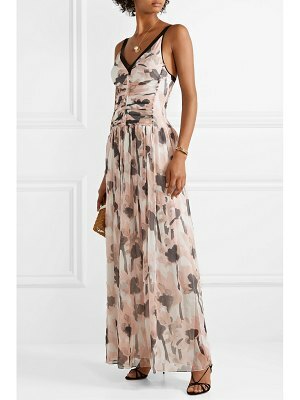 Delicate straps a scoop back and a sweeping silhouette add to its effortless elegance. 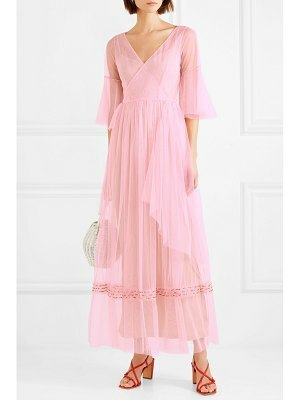 Tonal lining.